This incredible two-bedroom, two-bathroom design comes in at roughly 700 square feet. It is ideal for roommates, couples with kids or even those who just need space for a home office. 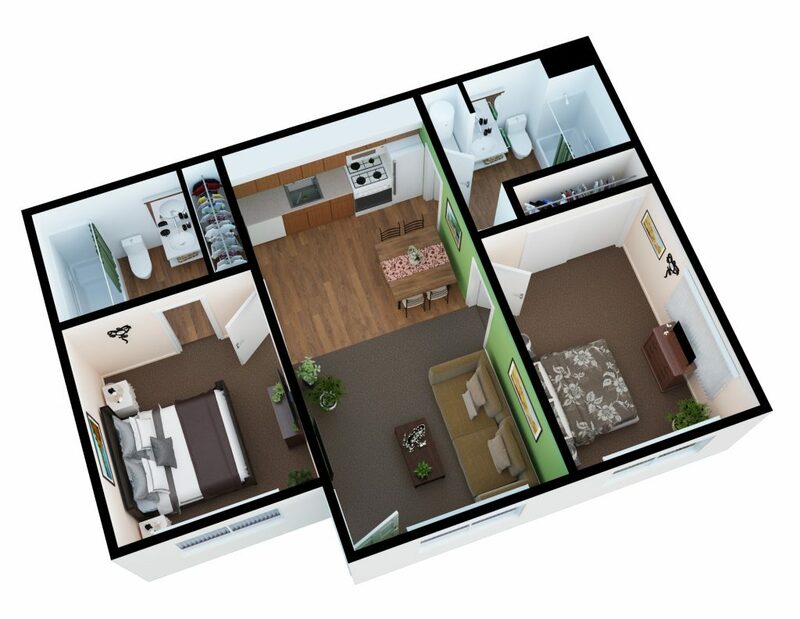 Here at Desert Point Apartments, we are proud to offer The Saguaro floor plan as the perfect solution for anyone who wants the tidy convenience of a smaller apartment but still needs an extra bedroom. The Saguaro is your ticket to a number of community amenities as well. For example, our fitness center and pool are open to all of our residents. In addition, we host regular community gatherings and our maintenance team is on-site to help you with any problems you may have.